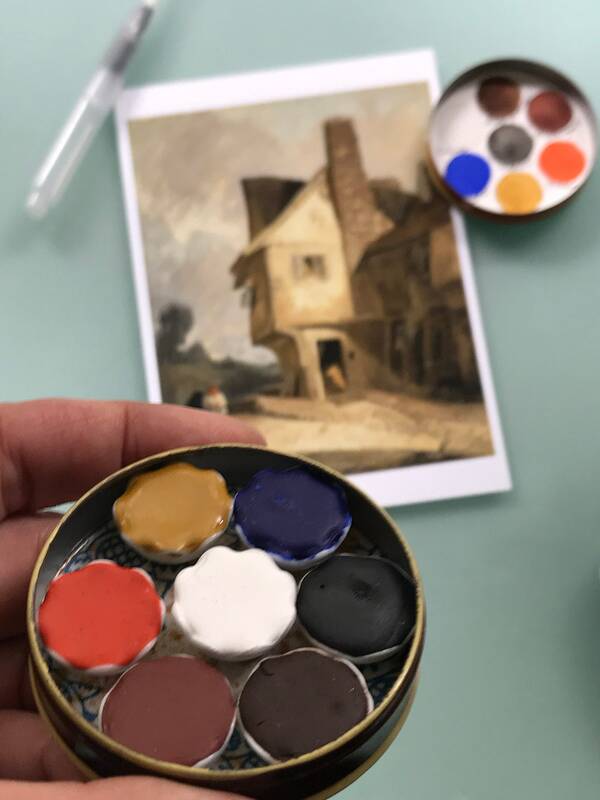 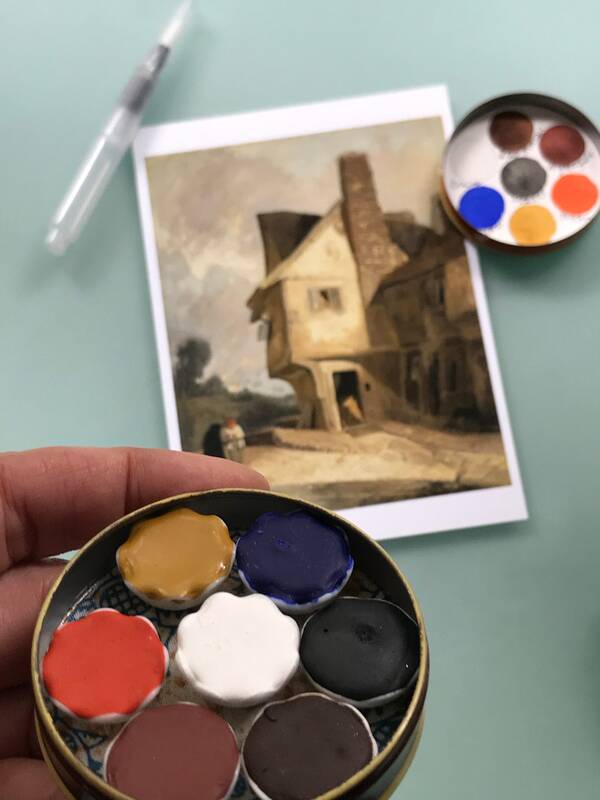 This palette of handmade watercolor paints are inspired from John Sell Cotman's "An old house at Saint Alban's" 1806. 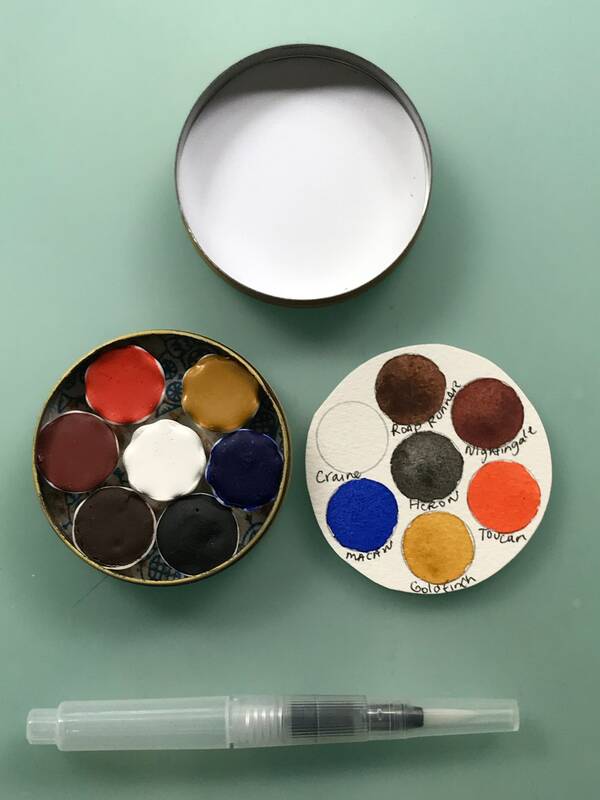 This palette comes in a vintage Typewriter Tin and contains 7 handmade paints from our shop. 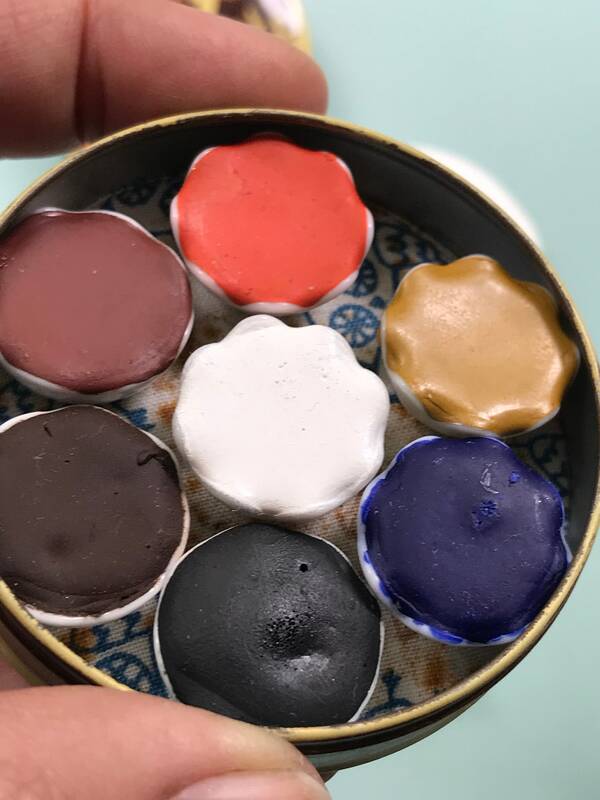 Paints are in ceramic dishes that are magnetized to the tin. 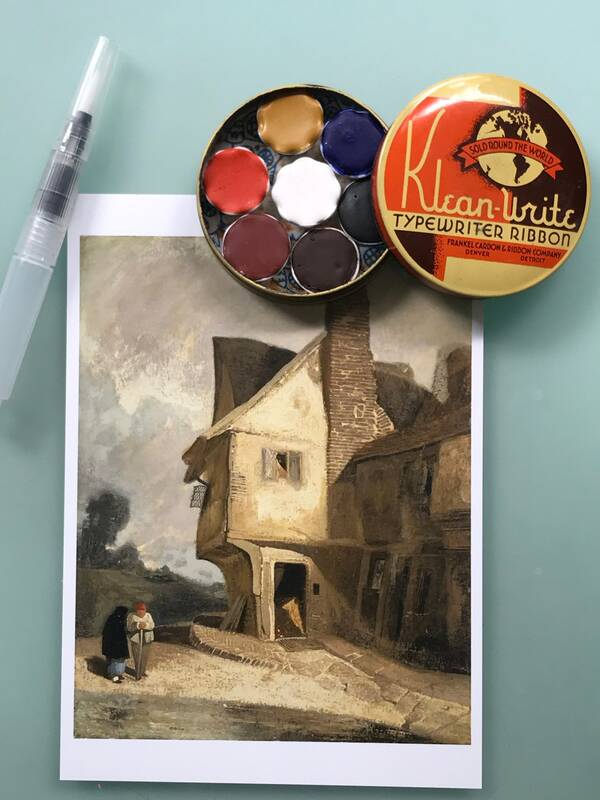 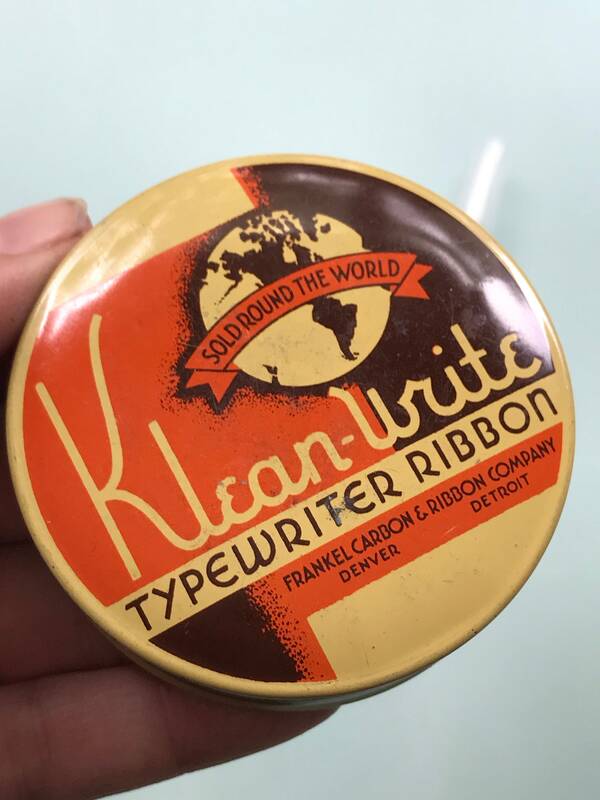 Tin is vintage and has wear to it, which is what we love about it. 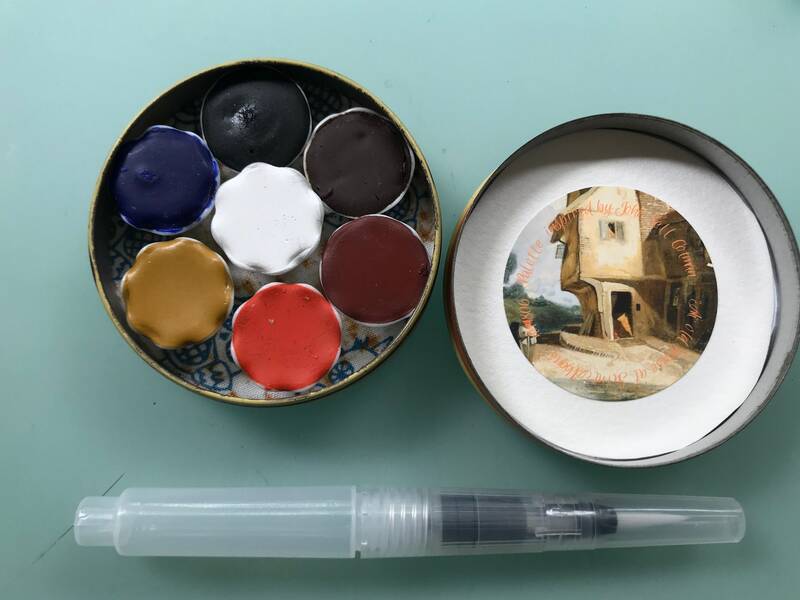 Free Shipping in US.